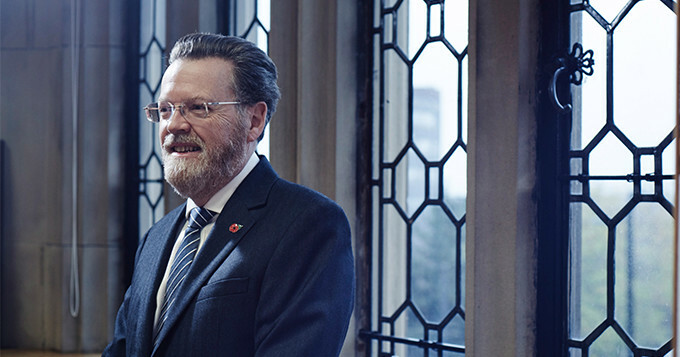 When I addressed the AGM, I tried to answer these questions; why I was pleased to take up the role of President of the Science Council and why I believe our work together is crucially important for the United Kingdom. The Science Council was founded by my fellow scientist, Professor Sir Gareth Roberts. Gareth was an informal mentor to me at various points during my career. I remember with particular affection our last private discussions together in the grounds of Wolfson College in Oxford. It was he who encouraged me to apply for his old job of Vice-Chancellor in Sheffield, a University he loved dearly. As a scientist who had worked closely with industry, he had a very broad view of what Science meant to the nation. Which brings me to the Science Council. When asked if I would stand for election as President, I felt that I was, once again, following in Gareth’s footsteps. I knew that he was convinced of the need for a UK Science Council which brought together scientists working across disciplines and at all levels in industry as well as academia. And Gareth was right. The UK faces, has always faced, a significant problem in how we think about Science as a whole. We have often drawn a false distinction between the people who serve the science and technology mission of our country. We too easily use labels that demean the wide range of roles that a modern science establishment needs. This was a lesson first taught to me by my father, Roy Burnett. He served as the Head of the Rhondda Training Group and he told me just how dangerous it was to separate the mind from the hand. He was also right. Which is at least partly why I have been dedicated to the promotion of technical staff in Universities for many years now. As the Chair of an organisation called HEaTED, I have worked hard with the support of people like Lord Sainsbury and the Gatsby Foundation – who are also longstanding backers of the work of the Science Council – to develop proper professional support and recognition for the technicians who are so fundamental to our science in Universities but also in industry and government work. The Science Council has other crucial roles to play too. But there is one more arena in which the Science Council has a role to play, if certainly not all the answers. We cannot expect to remove from public discourse suspicion about independence from funders or other questions of ethics, but we can continue to point to ongoing training and professional ethos. I am not claiming for a moment that the Science Council can take on this challenge alone. As a Fellow of the Royal Society and of the Institute of Physics, I know just how hard others are working on this. But I do believe now is the time we must, as a profession, speak together. This is not about replacing the role of existing bodies but supporting them, and helping a broad range of young scientists demonstrate their professional standing. The Science Council must not hamper these efforts, but complement them. Getting that balance right is not easy. I know that in some respects we are still finding our way, but the goal is a worthy one and I’m determined to work with all my colleagues to address our common challenges in ways which work for all. I know the contribution scientists of all kinds and in many contexts can and do make to our country and the world. I am honoured to serve as the new President of the Science Council and to work with my peers on the challenges which lie ahead. Fantastic to hear such support for the Technical profession from the Science Councils President,especially from the personal perspective in which it is given.